The Uniroyal Tiger Paw GTZ is an ultra-high performance, all-season tire. Optimized tread compound combined with a solid center rib lead to reliable performance in any condition. DuraShield construction offers durabilty and realiability on the road. Increased tread life and more balanced tread wear. 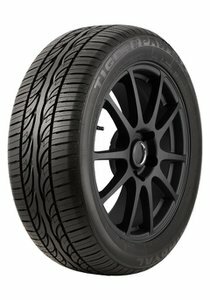 The Uniroyal Tiger Paw GTZ is an ultra-high performance, all-season tire. Optimized tread compound combined with a solid center rib lead to reliable performance in any condition. DuraShield construction offers durabilty and realiability on the road. 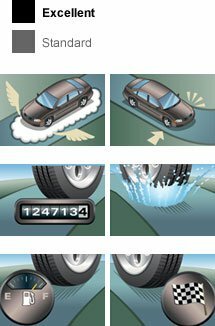 Increased tread life and more balanced tread wear.